Professionals designed bulk text message software for blackberry mobile phone users to create and forward unlimited personal or professional sms to group of people directly from pc without any internet connection. Flexible and advanced technology enabled blackberry sms software sends mass text messages to individual or group of friends, employees and relatives at national or international mobile phones in single click. Excellent blackberry free sms service empower mobile phone users to forward short text messages such as personalized sms, seasonal greeting cards etc to other cell phone worldwide without any sms gateway. Innovative blackberry text messaging software broadcast various business notifications in fewer spans of time. Cost effective blackberry sms program facilitates business to forward event alert, notifications or invitation to employees in short span of time. Business oriented blackberry sms modem facilitates organization to send mass product or services promotional campaigns and advertising messages to different service provider mobile phone simultaneously with using advance delay delivery feature. Blackberry bulk sms software sends messages for contacting employees for meetings, appointments, events etc. Powerful yet easy-to-use bulk sms software enables business hrs to forward bulk job alerts and interview schedules to large group of audience without wasting money advertising in news papers. 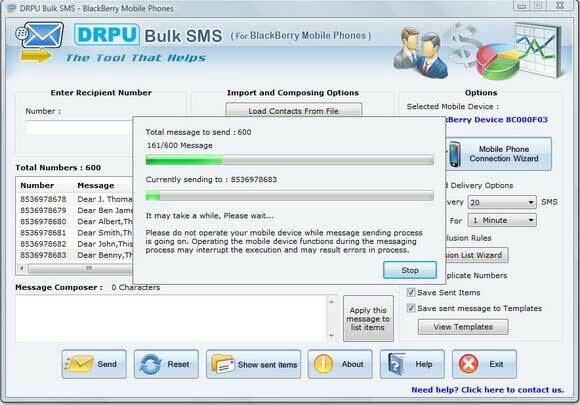 BlackBerry Bulk SMS Software is an utility that works under windows xp, windows vista and windows 7. It supports both 32-bit & 64-bit windows editions, therefore it could run faster on 64-bit computers. Estimated download time for BlackBerry Bulk SMS Software on a common adsl connection is less than a minute. 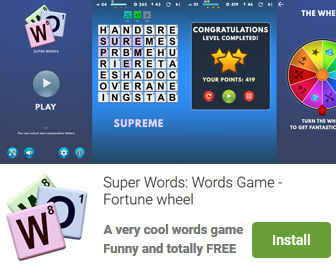 Version 6.0.1.4 was released three thousand fifty one days ago by BlackBerry bulk SMS software. Click the green download button to download it now.